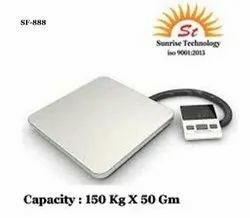 We are a leading Manufacturer of sf-889 electronic shipping scale 200 kg x 100 gm and sf-888 electronic shipping scale 150 kg x 50 gm from Ahmedabad, India. 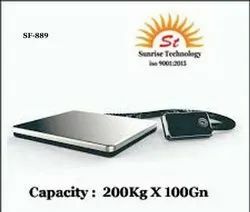 We are one of the leading manufacturer and supplier of SF-889 Electronic Shipping Scale 200 Kg X 100 Gm. We obligated to meet the quality standards as per the customer demand. We are one of the leading manufacturer and supplier of SF-888 Electronic Shipping Scale 150 kg X 50 Gm. We obligated to meet the quality standards as per the customer demand. Looking for “Electronic Weighing Machines”?